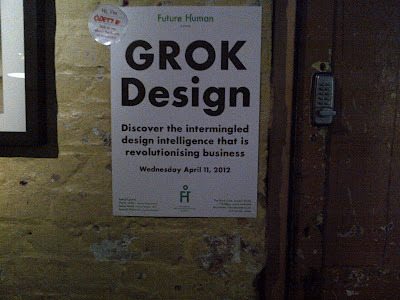 Another eventful discussion based around the topic of 'Grok Design' held at the BookClub, Shoreditch by Future Human. 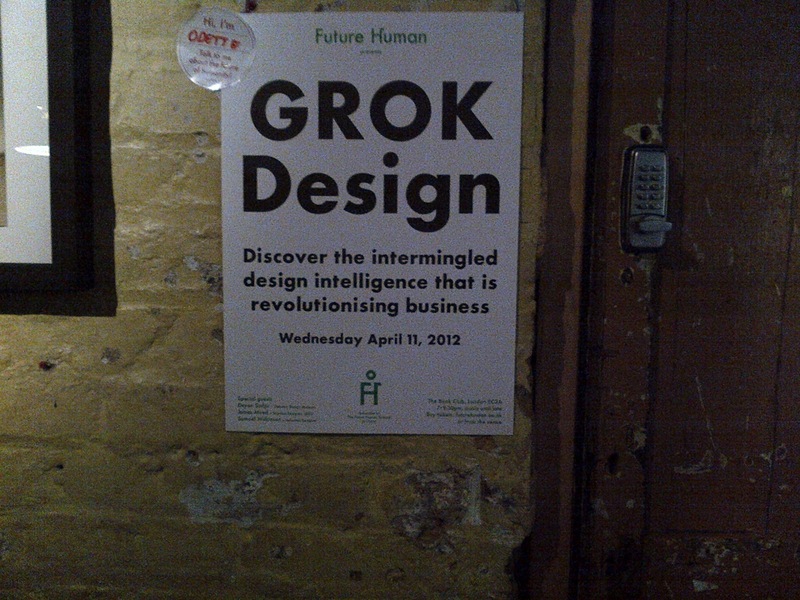 'Grok Design' refers to the collaborative design with cultural, emotional and technical elements all thrown into one pot for an alternative industrial design process that are ultimately creating innovative and successful outputs. Apple's use of Grok design were used as a reference point, however it was also discussed if this way of creating could be widely adopted by other industrial companies and also questioned for how long this way of working would truly remain innovative. Guest on the panel included Deyan Sudjic from the Design Museum, James Moed from IDEO, and Samuel Wilkinson from Samuel Wilkinson Industrial Design Studio. Dominic Wilcox also made an appearance to introduce his project 'Speed Creating'. It only seemed fair that the audience got to have ago at speed creating to also speed create in an interim activity with some markers opens, flip charts and plasticine - some interesting creations!